This own, my native land! For him no minstrel raptures swell." You can read the rest of Sir Walter Scotts' poem when you get a chance, but it is clearly related to what is happening in the Jewel right now. This poem is for any Belizean or so called Belizean who is celebrating the unfortunate ruling of the court on the matter of BTL, that includes businessmen and politicians. 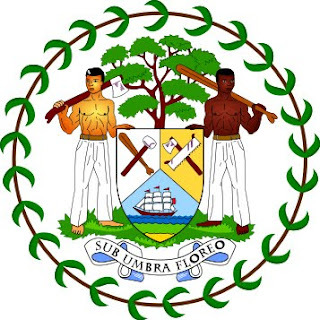 They do not have the interest of the Belizean people at heart, and are mercenaries and apologists for those predators that have, and will always try to take advantage of our innocence and naivety. We the Belizean people, have to stand up for our rights and our survival as a sovereign people. One thing that all this has shown is that we are a democracy. Does anyone believe that a ruling like this would ever occur in Mexico or China or in most third world countries? NEVAH!!! What responsible government, tired of watching its' people being gorged out of their last cents by predators in businessmans' clothing, and then taking all their ill gotten gains out of the country, leaving us high and dry, would not do anything necessary to protect its people? Don't answer that question because we already know the answer. What has happened in little Belize is that when all the investments began to pour in a couple decades ago, we did not have the laws in place to protect us from ruthless and unethical mercenaries that came in like rats smelling good Dutch cheese. Both PUP and UPD governments were guilty of unusual accommodations to entice these carpetbaggers to invest in Belize. In hindsight, we now know that we did not have to do that. This precious little country is so full of natural resources that most other countries do not posses, that we could be much more discriminatory as to whom we let in. We were more than lenient in our tax laws, and then of course there were the politicians that could be bought off and are still being bought off. I salute the government of Belize for fighting to help us regain control of our country, our economy, and most of all, our dignity. We cannot just sit back and lose what is left of our country, we have to stand and fight! Who wants to be an alien in his/hers own land? It is always good to read your point of view, interesting, but unfortunately I don't agree with you on this one. The Court of Appeal says the original takeover was unconstitutional; the PM said he respected the decision, but five hours later he had a change of heart. Mr. Barrow compounded that with the BDF re-takeover. How do we expect our youths to respect the law when he's not setting an example? This is a man without a direction!! BTL is a giant extortion machine making tons of profits off the poorest of the poor in Belize before Ashcroft came on the scene. Did you know that BTL has been making 30% profit every year before Asscroft? Phone calls to every developing country from the US is much cheaper than making a call to Belize before Asscroft came into the picture. VOIP is free in virtually every country except Belize and again before BillionaireTL. What is happening here is greed and the PM of Belize has already stacked the board with his family. Do some research, PLEASE!! !